Fish Oils and more specifically Omega 3 Fatty acids are one of the most well researched supplements on the global market, and it’s become a billion dollar industry. Omega 3 fats get promoted for all kinds of health benefits but do you really know why they’re recommended? Do you really know what scientific proof we have for each of the purported claims? 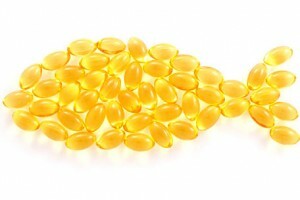 Do you have to get your omega 3 fats from fish oil? In today’s podcast I talked to an expert in the Fish Oil industry Colin Garrioch from Nutrasource Diagnostic Inc. They are a consulting and contract research organization that works with supplement companies to bring their brands to market, testing for quality, purity, and efficacy as well as legal compliance. This type of service is bringing more legitimacy to the supplement industry and provides a structure for consumers to validate that their supplements are of high quality and purity. We discuss everything about fish oils from the raw materials, to the processing and the final product doses. We talk about the recommended doses, where those recommendations come from, what the health benefits are and how to go about looking for a quality Omega 3 (fish oil) supplement. If you ever had a question about fish oil and omega 3 supplements, we’ll have it answered by the end of this podcast.